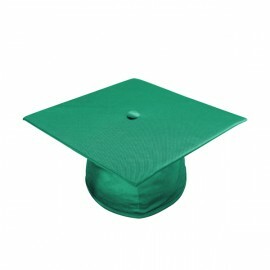 Make sure your precious preschool graduate takes his bow with pride and confidence during graduation with Gradshop.com's elegantly designed pre school graduation gowns which you can purchase with matching pre-k caps for his or her big day. You're sure to get the perfect pre-k graduation attire for your child once you browse through our wide array of masterfully crafted shiny polyester gowns, caps and other graduation accessories to match. In the mind of a child, pre school graduation has got to be the biggest event in their young life. It is therefore a must that your child feels and looks their best during this monumental graduation event. Gradshop's complete lineup of stylish preschool graduation caps makes achieving this as effortless as possible. All our caps ensure the perfect fit with the one size fits all elastic headbands which fit each graduates head securely yet comfortably. The motorboard and internal fabric ensures that the caps maintain their outstanding form without compromising comfort. There is also a raised button to attach the tassel securely. 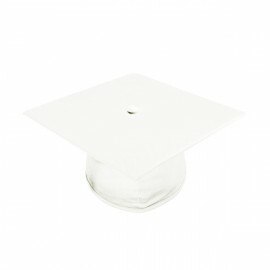 There's really no time to waste! 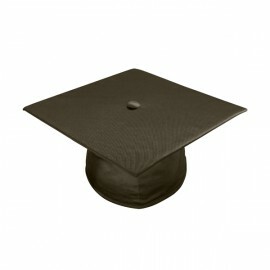 - Order the very best preschool graduation cap for your child right now!